Kate Stenberg’s solo violin playing has been described by NewMusicBox as “highly virtuosic and deeply communicative, full of character and presence.” Her acclaimed CD, Scenes from a New Music Séance with pianist Eva-Maria Zimmermann (Other Minds), includes several world premieres and assorted new music – a genre to which she has been deeply committed for the past 25 years. Formerly, as first violinist of the renowned Del Sol String Quartet, with whom she toured and performed for the past two decades, Stenberg premiered well over 100 works at prestigious venues including the Library of Congress, Kennedy Center, and Symphony Space in New York City. She recorded on eight critically-acclaimed CDs fostering the string quartet repertoire through the commissioning of established and emerging composers. Hailed by Gramophone Magazine as “masters of all musical things they survey” and two-time winner of the Chamber Music America/ASCAP Award for Adventurous Programming, the quartet expanded its outreach to numerous educational institutions including the Manhattan School of Music, Dartmouth, MIT and the San Francisco and Peabody Conservatories of Music. Stenberg has collaborated and premiered work at San Francisco Performances with Bill T. Jones / Arnie Zane Dance Company and worked with choreographers Garrett + Moulton Productions on their project “StringWreck.” She was a founding member of the Left Coast Chamber Ensemble and has recorded with the San Francisco Contemporary Music Players, New Music Works, and Maestro Ustad Ali Akbar Khan. Stenberg currently plays in a duo with pianist Sarah Cahill, focusing on classical and modern repertoire for violin and piano while continuing to work with and commission composers of national and international renown. For more information, visit www.katestenberg.com. WILLIAM WINANT, percussion, is described as “one of the best avant-garde percussionists working today” according to Mark Swed of the Los Angeles Times. William has collaborated with some of the most innovative and creative musicians of our time, including John Cage, Iannis Xenakis, Keith Jarrett, Anthony Braxton, James Tenney, Cecil Taylor, Steve Reich, the Kronos String Quartet, and Frank Zappa, among others. He has made over 100 recordings, covering a wide variety of genres, and many important composers have written works for him. He has appeared as percussion soloist with major orchestras including the Los Angeles Philharmonic and the San Francisco Symphony Mavericks series. He teaches at UC Berkeley, UC Santa Cruz, and is an Artist-In-Residence at Mills College. 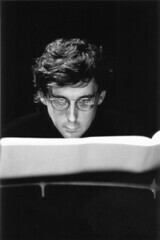 THOMAS SCHULTZ, piano, has established an international reputation both as an interpreter of music from the classical tradition â€“ particularly Bach, Beethoven, Schubert and Liszt â€“ and as one of the leading exponents of the music of our time. Among his recent engagements are solo recitals in New York, San Francisco, Berlin, Ghent, Seoul, Taipei and Kyoto, and at the Schoenberg Festival in Vienna, the Piano Spheres series in Los Angeles, Korea’s Tongyoung Festival, the Festival of New American Music in Sacramento and the April in Santa Cruz Festival. He has also appeared as a soloist at the Other Minds Festival in San Francisco, and in chamber music performances with the San Francisco Contemporary Music Players, the Da Camera Society of Houston, Robert Craftâ€™s 20th Century Classics Ensemble and the St. Lawrence String Quartet. In 2005 he gave a series of masterclasses on the piano music of the Second Viennese school at the SchoenbergCenter in Vienna. 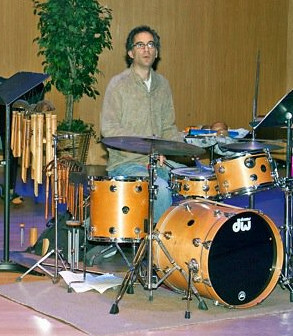 JIM KASSIS, Percussion, has been performing with New Music Works since he moved to the San Francisco Bay Area in 1987 to study with San Francisco Symphony percussionist Anthony Cirone, Jim has been teaching and performing both drum set and classical percussion throughout northern California. 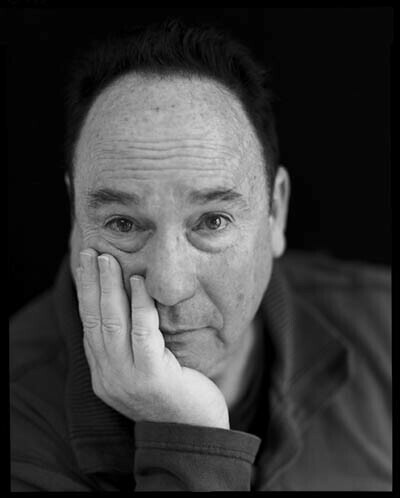 Jim serves on the faculty at Santa Clara University and the Community School of Music and Arts in Mountain View. He has played with New Music Works Ensemble since 2002.